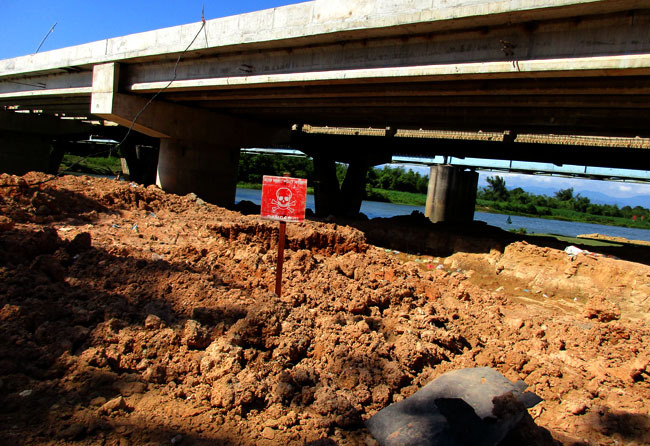 RENEW’s EOD Team No.1 on Monday responded to a UXO callout from a bridge construction group in Luong Dien Village of Hai Son Commune. Builders who were digging the pier foundation for expanding the My Chanh Bridge on Route 1 suddenly encountered many items of wartime munitions. Some of them remained packed inside an iron container. The My Chanh Bridge was one of the fiercest fighting scenes during the Easter Offensive – a military campaign conducted by the People’s Army of Vietnam (PAVN) against the Army of the Republic of Vietnam (ARVN, the regular army of South Vietnam) and the United States military in October 1972. 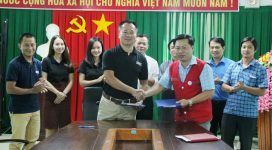 Mr. Nguyen Van Son, who is in charge of the bridge construction, knows that Project RENEW is operational in Hai Lang District. He called RENEW’s hotline telephone number asking for help. RENEW’s EOD team arrived at the bridge site and started an investigation. “All of these munitions are stable to be removed so our team will transport them to RENEW’s Central Demolition Site for later destruction,” said Team Leader Le Xuan Tung. As a result, a total of 28 items of UXO, including artillery shells, mortar rounds and fuzes, have been removed from the bridge pier foundation and later destroyed. 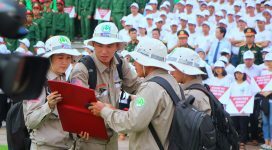 From March 2015, in parnership with Norwegian People’s Aid Vietnam, Project RENEW expanded mine action work into Hai Lang District which has sustained the second highest number of UXO casualties in Quang Tri Province: 1,324 deaths and injuries since 1975. 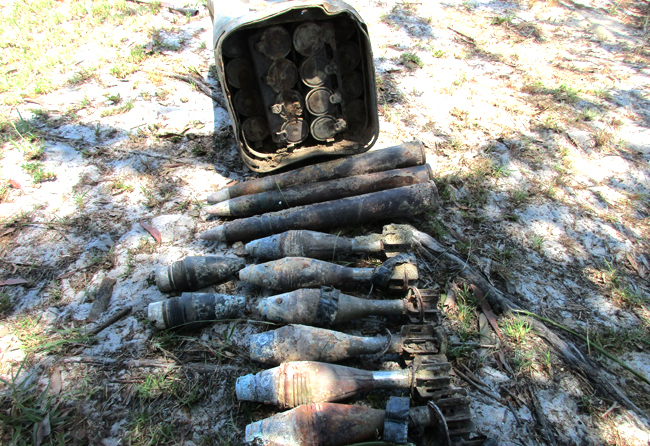 In four months this year, RENEW teams conducted 317 EOD tasks and safely destroyed 403 items of UXO. 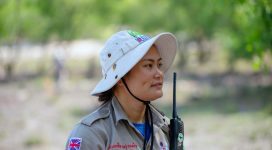 The EOD quick response is part of major interventions of Project RENEW’s UXO survey and clearance program in Quang Tri Province for the period of 2015-2017. The program receives funding from the U.S. Department of State via Norwegian People’s Aid (NPA).